Arbor Benefit Group was founded in July of 2000 with the goal of providing tailored stop loss insurance solutions, delivered with responsive and uniquely personalized customer service. Arbor Benefit Group manages a strong portfolio of business backed by respected and dependable insurance carriers, and satisfied customers. Stable and growing, our business is built on an entrepreneurial spirit and supported by our highly experienced management team. By remaining flexible and adaptive to our dynamic industry, incorporating state-of-the-art technologies, and expanding our capabilities through our expert staff, we remain true to our goal of providing our customers with proven solutions and exceptional, personal service. 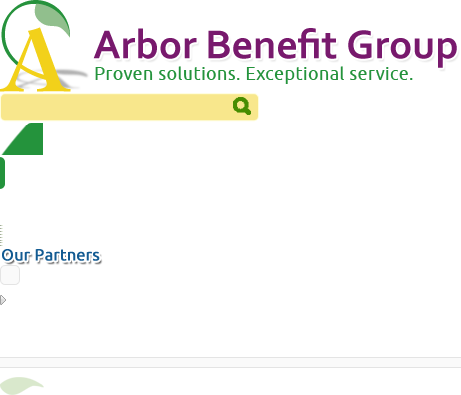 Arbor Benefit Group L.P. is a Managing General Underwriter of medical excess loss coverage for single employer groups, underwriting for American National Insurance Company and Standard Life Insurance Company. Located in Farmington, Connecticut, we serve Brokers, Consultants and Third Party Administrators throughout the United States. How can we serve you? Call us today. Executive Vice President and founding partner, Janice Theriault, serves as Arbor’s Director of Medical Stop Loss Operations. With over 28 years of proven industry experience, Janice’s contributions include strategic planning, product and vendor management, cost containment, and direction of medical underwriting and services. She also manages Arbor’s administrative areas including claims, policies, systems and infrastructure. Janice began her career at Aetna Life and Casualty as a Group Claim Manager. She later joined The Hartford as Manager of Third Party Administration where she advanced to the position of National Accounts Executive for The Hartford’s largest ASO clients, covering as many as 75,000 employees throughout the U.S. Prior to founding Arbor Benefit Group, Janice earned top honors as the Northeastern Regional Sales Manager for R.E. Moulton, Inc.
Karen Harrison is Executive Vice President and a founding partner of Arbor Benefit Group. She is responsible for leading the company’s corporate and carrier financial operations, and guiding marketing strategy. Karen also manages Arbor’s medical stop-loss business, with emphasis on strategic development and sales. Karen brings over 18 years of specific TPA sales and management experience to Arbor. She has also held regional sales leadership and underwriting management positions with Safeco Life Insurance Company, and served as the Southern Regional Sales Manager for R. E. Moulton, Inc. before founding Arbor. In his role as Executive Vice President at Arbor Benefit Group, Bill Knarr is responsible for driving Arbor’s stop loss business development, as well as contributing a wealth of industry knowledge and insight to Arbor’s strategic planning and general management objectives. Prior to joining Arbor, Bill was President of R.E. Moulton, Inc., a groundbreaking company in the stop loss insurance industry. Bill launched his insurance career with ITT Hartford’s Employee Benefit Group, advancing to leadership roles as the VP and Director of Group Underwriting, followed by VP of National Accounts. Prior to assuming his leadership role at Moulton, Bill was Vice President of Group Underwriting with Business Men’s Assurance in Kansas City, Missouri, as well as VP and Director of BMA’s HMO, SelectCare, Inc. Bill joined Arbor Benefit Group in September 2011. Copyright © 2017 Arbor Benefit Group. All rights reserved.